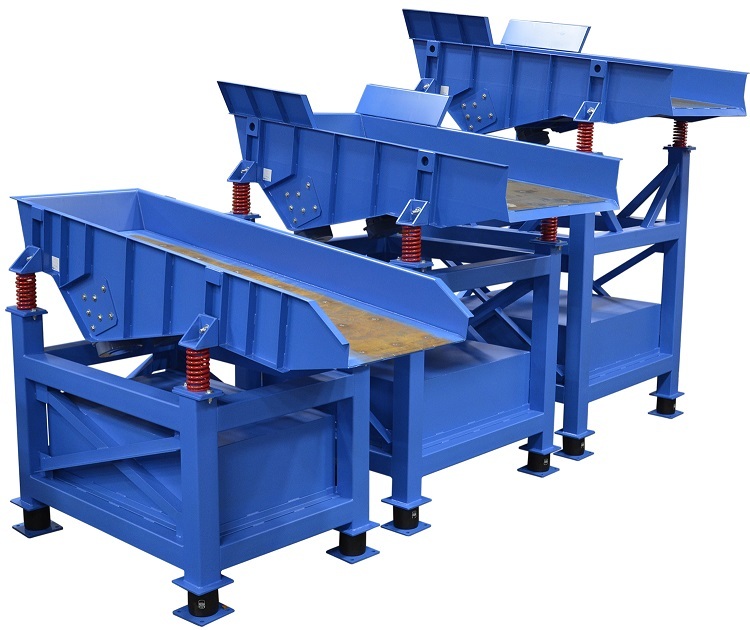 These vibratory feeders are designed to smoothly convey products. Flow of material is adjustable and flow rate can be variable or fixed. Available in electric or air-operated models, BPS heavy-duty vibratory feeders are designed with above-, below-, or side-mounted drives and can be arranged for base mounting or overhead suspension. Feeders come in custom vibrating trough lengths, with special trough designs available. Several basic models are available including air-operated light duty, air-operated heavy duty, twin-motor vibrating pan and grizzly feeders, electromagnetic, twin motor, and special application feeders. Options include the BPS Inertial Isolation System that is designed to eliminate the transfer of vibratory energy to support structures and buildings.